The Fort Smith, Ark.-based company generated $36.6 million in earnings for the final three months of 2017, or $1.37 per share. However, like other U.S. companies, the results included a benefit from the Tax Cuts and Jobs Act, totaling $24.5 million for ArcBest. In the fourth quarter of 2016, ArcBest only had $1.6 million in earnings or 6 cents per share. Adjusted earnings were $11.2 million or 42 cents, better than the $7.3 million or 28 cents in the same quarter of 2016. Revenue increased 3.3% to $710.7 million. For the entire year, ArcBest’s revenue rose about $100 million to $2.8 billion. Earnings climbed to $59.7 million or $2.25, compared with $18.7 million or 71 cents in 2016. “We began 2017 with an aggressive plan to implement our enhanced market approach,” CEO Judy McReynolds said in a statement. “We undertook a number of significant actions to improve our pricing and ensure that we are adequately compensated for the value we provide customers, particularly in our asset-based business. Asset-based revenue increased 3.1% year-over-year in the fourth quarter to $497 million. Tonnage per day decreased 4.7% to 12,350, and shipments per day fell 8.1% to 19,763. 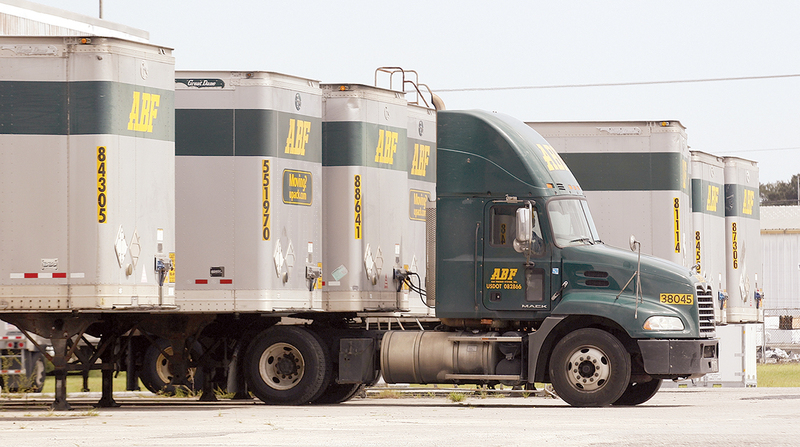 Nevertheless, ArcBest ended the quarter with better results because revenue per 100 pounds of freight rose 7.6% to $32.34, and revenue per shipment jumped nearly 12% to $404.25. As a result, operating income jumped from $7.1 million to $18 million. In the logistics business, revenue climbed 5.2% to $222.2 million and the company recovered from a $900,000 operating loss in late 2016 to make $5.2 million in operating income. ArcBest ranks No. 12 on the Transport Topics Top 100 list of the largest for-hire carriers in North America.